Here is the latest question received by Relationship Expert Pam Custers from a client experiencing relationship issues just at the point that she was going through the Menopause. Hi I have been married for twenty years. We have two great children and I have a doting husband. My life is full as although I don't work I am involved is a range of charities. I have just been to the doctor to see if I am going through the menopause. I am waiting for the blood tests but am not even sure he is going to prescribe anything. I just am not feeling myself and to be honest would be delighted if I could go away and come back when this whole story is over. I am snappy with everyone and if I am not annoyed I am in tears. Is this what I can look forward to what can I do? What ever we call it, the change, the pause or “that time of life” the menopause is a life changing event. The emotional effects of the menopause effect our mood and our relationships. When a woman has her first hot flush it is a profound moment. Many women feel a sense of loss as it can be a significant moment when we realise that our child rearing days are over and we start to take stock and asses where we are in our lives. We may also feel a sense of liberation. No matter how you may view this moment it may well shift our own sense of identity in the world. This is a time when we may well change our perception of ourselves and our relationships. What we know is that for the average woman (is there such a thing!) menopause happens at the age of 51 whilst being peri menopausal starts at 45. Some woman start way earlier and others may start way later. In our practice we understand that it happens at a time when so much else is happening in a woman’s life. We can not dismiss the bigger picture. Not all stresses can be put down to hormonal changes as life itself holds a range of challenges. Careers may have reached a ceiling for their partners and their self. Children may well be leaving home. Financial demands are at their highest and our long term relationships have lost their mojo! Then just for good measure nature throws us a curved ball. We step onto a hormonal rollercoaster. Menopause effects women in a vast number of ways. It is as unique as each of us. So it is impossible to provide one size fits all. Women are often left stumbling around trying to find information that may or may not be useful to their unique set of circumstances. We know that the only two universally accepted indicators for the menopause is the ceasing of periods and hot flushes but there are a gambit of other symptoms. Libido can disappear, last seen when the children went to Brownie camp. Rapid mood shifts, anxiety, irritability, fatigue, mind fog, and anger to name a few. Some woman also describe getting depressed. Menopause doesn't cause depression but it can precipitate depression in those that have that propensity. There is little surprise this can destabilise the most solid relationships. So what can we do? Find a medic that is knowledgable and sympathetic. We presume that all doctors are experts in giving us advice and this is simply not true. Down load the NICE guide and become clear about your needs then make an appointment. Use meditation to reduce the stress and anxiety. There is so much research into the use of mindfulness and there are many apps available so you are able to integrate this into your daily life. Exercise to release the endorphins. It is our own inner happy. Paced breathing has the ability to reduce stress and anxiety by 95% which is staggering. Talk. Talk to your friends to a counsellor, talking helps process what at times feels like we are at sixes and sevens with the world. This is a time to re frame how we think and talk about menopause. How we think creates an internal way of thinking and feeling about menopause. It is vital that we reclaim this process as a time that is both creative and empowering. Finally you may be the one that is going through the change but so is your relationship. The menopause is a relational issue. We know that the difference between a good and a bad relationship is the difference between thriving or simply surviving. Have an open and frank conversation with your partner. Let them in to what is going on. We know that feeling connected to our love partner releases a different kind of hormone that reduces tension and stress and helps us to cope with what life is throwing at us. Reclaim this moment in your life. This is a natural albeit sometimes uncomfortable time in your life but it can open the door to the next thirty years where you can refocus your attention on yourself and your partner and start to reclaim your life as a woman who is empowered to start creating a future of your making. At The Relationship Practice we are able to process these changes and turn the experience into something that is truly fulfilling. Regain your relationships connection and start finding your equilibrium again. Call us for a chat and see what your next steps are. 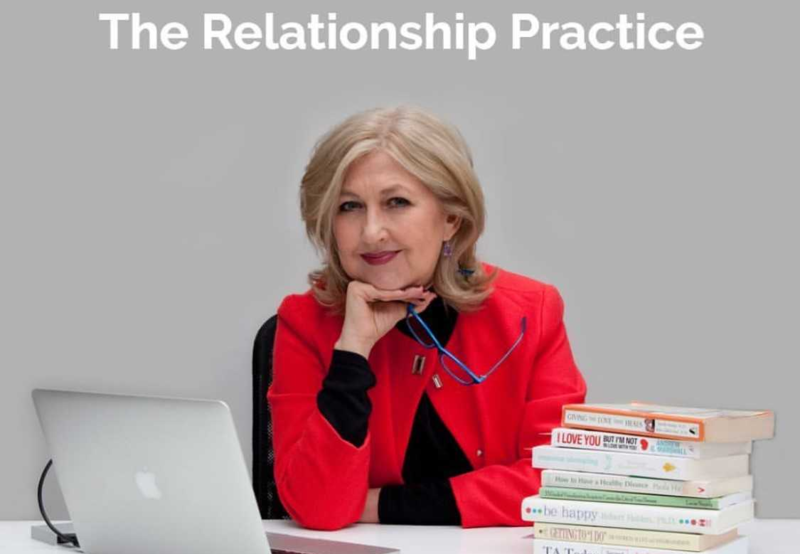 Pam Custers runs The Relationship Practice she is an experienced therapist working with individuals, couples and families. MA. BA (Psych) Hons and is a RELATE trained. MBACP (accredited). She leads a team of equally experienced specialists.